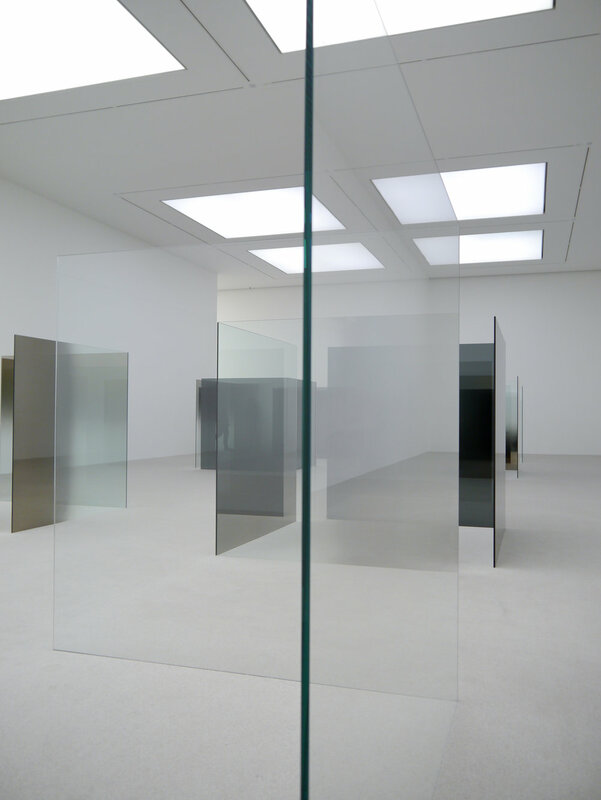 Larry Bell's forty clear, grey and metal coated glass panels transmit, reflect and absorb light in different ways. Startling to walk around and through. 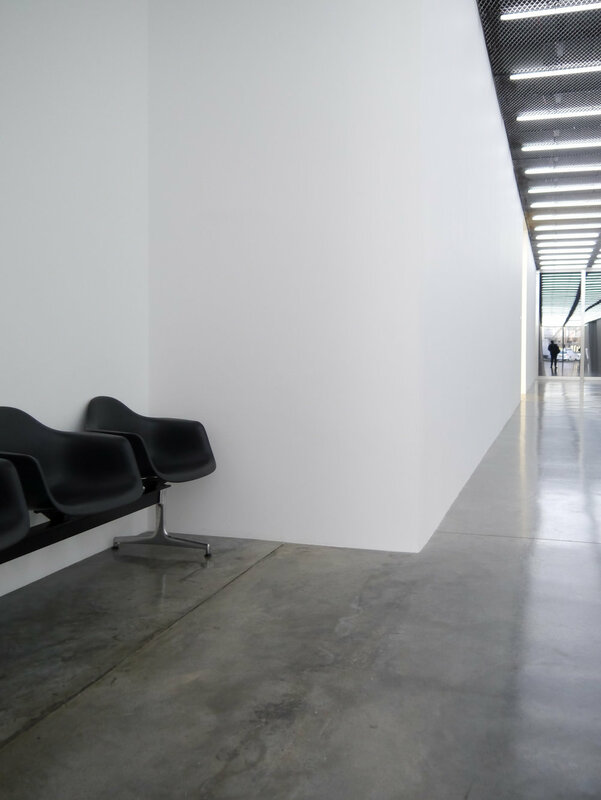 His work is light and symmetry, playing with scale and space. Bell began to experiment with glass in the 1960’s when everyone else was largely ignoring the material. He devised his own unique coating process as he taught himself how to use a specially commissioned vacuum thermal evaporation machine. This is art and science all at once. After much work in the laboratory he discovered that he could not only make his process work on glass, but paper as well. These became his ‘Vapour Drawings’ in the 70’s. Images sculpted on paper through gradients and layers of optical effects. 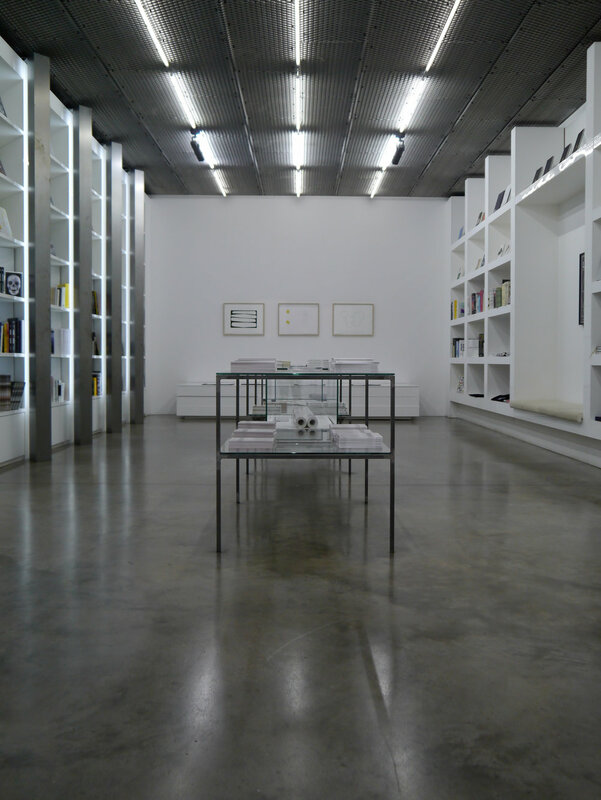 The entire show is so compelling, playing with you, toying with your reflection that recedes into a dreamy fog before reappearing on the other side of the gallery. The freestanding glass sculptures are beautiful architectural compositions, jostling for form, leaving you suspended at times, stopped where you are, mesmerised.